Barley water is made after boiling the barley,Health benefits of Barley Water. It becomes wonderful drink if you add sugar and lemon in it. There are several benefits of barley water. Take 2 tablespoon of barley and 1 cup of water in one sauce pen. Boil the barley until it become soft. Filter this mixture. You can take any type of barley. The barley which has covered it includes more fiber and it takes time to cook. So it is easy to cook barely which has not covered. 1. It contains beta-gluken which helps to remove toxins through bowl and piles. It gives relief from constipation, cleans the intestines so the risk of colon cancer reduces. 2. It acts as a diuretic. It removes waste water and toxins from the body through urine. 3. This reduces the heat in the summer. So it is very beneficial in summer. Since it is cold if you have acidity in stomach due to spicy food then it gives relief. 4. Barley is anti-inflammatory. 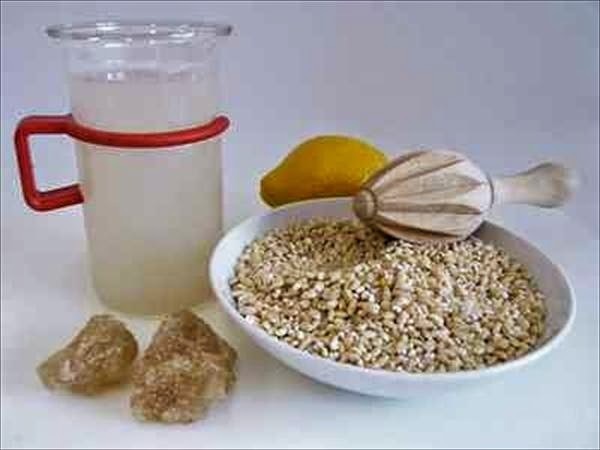 People suffering from arthritis and joint pain get benefit of barley water. 5. The beta-gluken reducing the absorption of glucose in the body so blood sugar level maintains. That means if you are diabetic then barely water can control your sugar level. 6. Daily intake of a glass of water completes the fiber necessity for the body. 7. Due to high in fiber it reduces the cholesterol level. It keeps your heart healthy. 8. It is very effective remedy for kidney stone. Kidney stone can be removed by drinking one glass of barely water daily. It keeps kidney healthy.